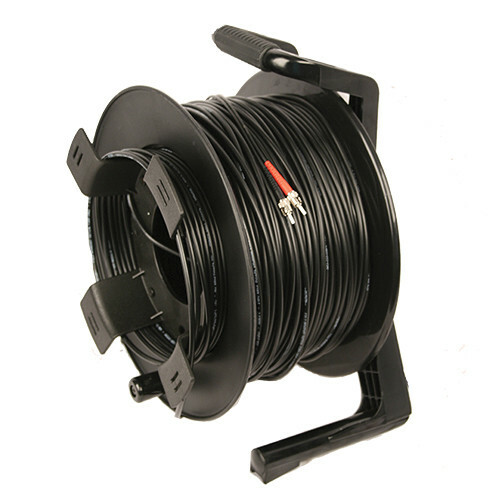 This DuraTAC Armored SM Tactical Fiber Cable & Reel from Tactical Fiber Systems runs 750' long and features 2 ST connectors on each end and durable 3.0mm furcation tubing. It is a DuraTAC stainless steel armored cable which is up to ten times stronger than ordinary tactical cables, without any compromise in flexibility. Box Dimensions (LxWxH) 20.0 x 16.0 x 13.0"